I have recently bought myself a VStarCam camera. 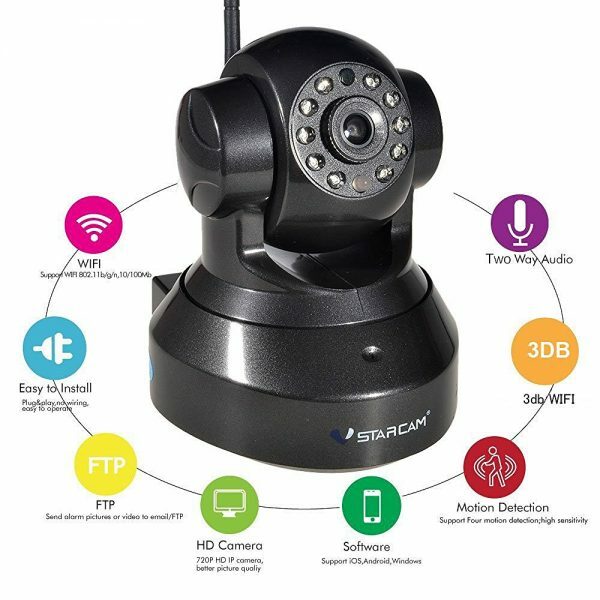 It is cheap (around £40 from Amazon), offers fairly decent apps, and using SD CARD recording and app access means that you can easily use it as a security camera. However, it has a rather annoying blinking green LED that is on at all times when the camera is running. The look as well as the blinking LED makes this device look rather 1984. I went through all the settings, but couldn’t find an easy or obvious way to turn it off. However, a bit of browsing on the internet helped. Since the instructions are all a bit over the place, I thought I’d write the set of instructions in one place. I will write about this in a bit more detail later, but get your camera running on your network. If you are having issues connecting to the WiFi with your camera, check our article on how to solve that. This will ensure it is accessible from your local network. For most people, this is not obvious. There are two ways to do this. You have two ways to do this. If you know how to log in to your router, you can do so and see what is connected to it. 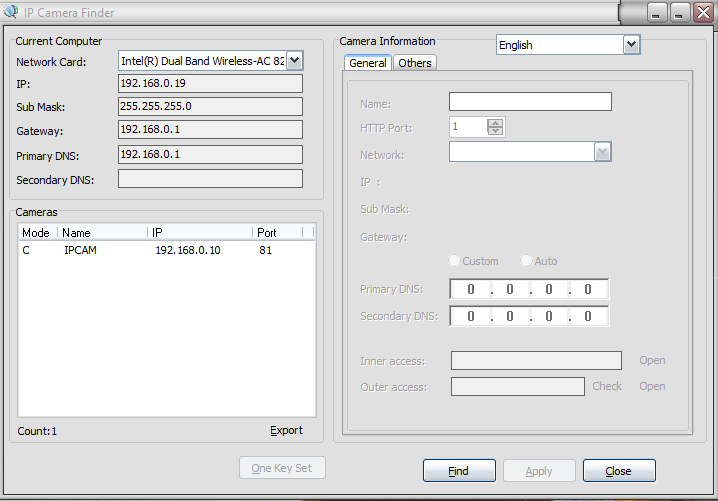 Identify your camera’s IP address and use that for the next step. This can be done by heading to the Eye4 download website. 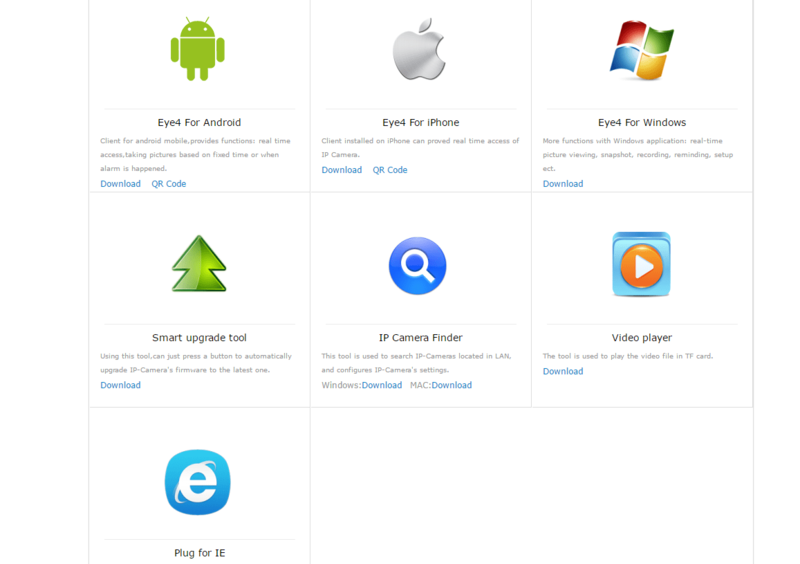 From there, download the IP Camera Finder. Extract the ZIP file and run the software. In the app, you shall find that it should come up with your camera. In my case, it was 192.168.0.10, connected to port 81. Generally to access that, you have to put the IP address and port address separated by the colon (:) character. So in our case, it will be 192.168.0.10:81. If you go and click on the camera, it will give you more information, and show the IP address in the ‘Inner access:’ panel. Once the info is there, you can click on the ‘Open’ link next to it to access your camera and change settings. To do so, you will need the user ID and password for your camera. The user id is ‘admin’ by default. The password is ‘888888’ by default. It is highly recommended that you change this, and if you set this up via the app, you may have already done so in the process. In this article we will assume that we are using default values. Now that you know the IP address, the user ID and the password, you can actually send a command to your camera via your browser to turn the LED on or off. I am hoping somebody can point me to where this protocol is actually written, so we can know what other commands we can access. All you need to do is go and type (or copy paste) the above in your browser. You should see that the LED went off. Just make sure you have the right password, and it should be fine. So for you, just change your IP Address and Port as per the app, copy paste the above command, and change the password from 888888 to the password you have set, and it should turn it off. If you wanted to turn it on again, just pass the command above with led_mode=1 instead of 2. Hopefully you found this useful. Do you have this camera? Have you found other interesting hacks or useful uses for it? Do let us know via the comments section below or via social media. Thank you for this post, That green light was annoying when the camera is up against a window. I now have to figure out why/how the motion detection/recording stopped working (nothing to do with turning the green light off btw this was before). Not entirely sure myself, but normally a device will not use WiFi if it is connected via an ethernet / LAN cable. Try that? Crude way -> Reset your cam. Set it up using LAN cable. Do not setup WiFi using WiFi Manager or something else. The device should work wired. Working ! Thank you man ! You are the best !